Jessica and Benny’s South Tampa wedding was a classic embodiment of romantic details and an elegant color palette of light mauve and dusty rose with pops of metallic. For the Tampa bride and groom, they knew right away that the city in which they grew up would be the perfect location for their wedding day. With location and photography listed as some of the most important elements of their wedding day, the couple turned to Marry Me Tampa Bay to explore the area’s most respected wedding professionals. Being a Tampa native and attending their fair share of local weddings, the bride and groom wanted sought out a unique South Tampa wedding venue. 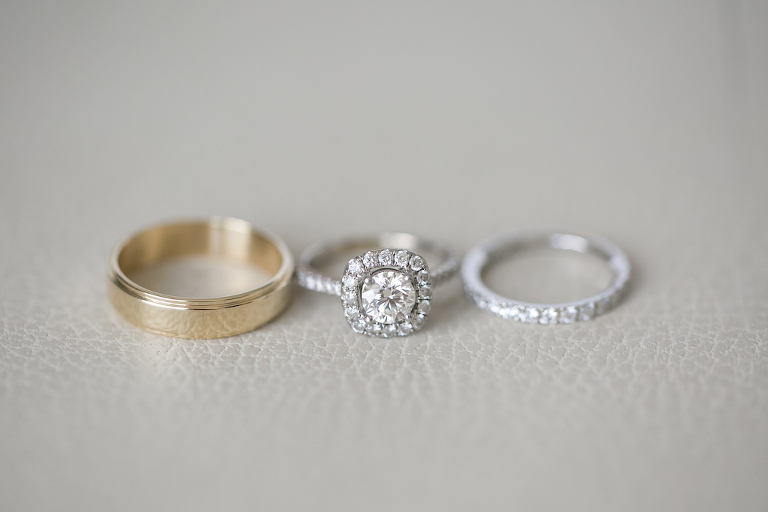 Searching for a Tampa wedding photographer who could capture the couple’s special moments with an eye for detail, they hired Carrie Wildes Photography. Looking back, the bride was honored to involve so many memories of her family in the details of planning her wedding day. “Some of my most memorable moments were having so many members of our family in our bridal party and included in the wedding ceremony. I will never forget the late night planning sessions with my mom, aunt, and two cousins. I will also never forget how emotional and happy my husband was throughout the whole day. It was so special to me because we are talking about a man I had never seen emotional in the nine years prior while dating,” the bride reminisced. It happened on a family cruise with stops in Key West, Florida and Cozumel, Mexico. It was our first night cruising, and we ate at a specialty restaurant on the ship with my family. Right after we ordered dessert, Benny decided to do a champagne toast, and the next thing I knew he was down on one knee asking me to marry him! It was the most memorable family vacation to date. I left Tampa with a boyfriend, and after a 7-day cruise I returned with a fiancé! Classic with a romantic vibe. As long as I can remember, I envisioned myself getting married in a church that held special meaning to me. The church was memorable because at one point that is where my grandparents went to school and some of my family members were married at the same altar. 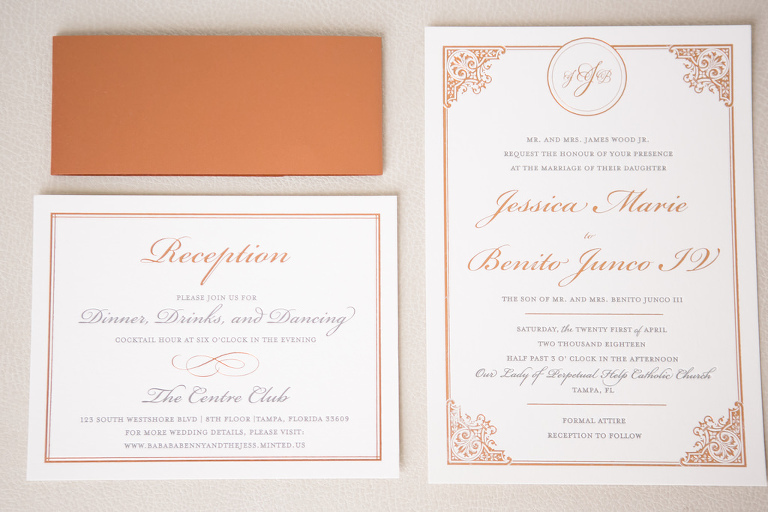 Light mauve and dusty rose with pops of metallics such as copper, gold, and rose gold. I chose this palette because I wanted to carry the romantic vibe throughout the whole night in all aspects of my special day. I knew from the very beginning the most important aspect was to make my bridesmaids feel comfortable and confident in what they were wearing since they were such a big part of my wedding day. I wanted to incorporate the romantic touch of a soft, feminine tulle with the classy, sheer illusion neck line. I chose Bella Bridesmaids because of their reputation in the Tampa Bay Area and their wide selection of designer brands. The staff was very accommodating and helpful and allowed me to make several visits until I made the perfect choice! It was all about the location! Being a Tampa native and attending my fair share of weddings, I wanted something different and that I hadn’t seen before. I loved the feel of a ballroom and also wanted an original venue. I actually found the Centre Club on Marry Me Tampa Bay! It definitely caught my eye, so I immediately set up an appointment to tour it! As soon as you walk in, you are blown away because of the view and the wow factor in the cocktail area. The venue was also able to accommodate my guest list, while still giving me the warm and intimate feel. The top factor that remains in people’s mind was the great service and excellent food quality. I chose not to hire a wedding planner, but Elizabeth and Selena of the Centre Club fulfilled those roles and made me feel extremely comfortable throughout the whole process. The most important elements of my wedding were my photographer and videographer because they capture the moments that last a lifetime! I was looking for an immediate connection with our personalities and also someone who would capture my special moments with an eye for all the details. I believe it’s so important to feel comfortable and at ease with your photographer because you spend so much time with them throughout the whole wedding process! When it came time to pick my photographer there was only one choice, Carrie Wildes Photography. Alongside saying yes to Benny on our cruise, it was the second easiest yes I said! From our very first meeting, I knew in my heart Carrie was the one. She had the immediate understanding of what I wanted captured, and she delivered that and so much more. She is also one of the sweetest people I’ve ever met, and it was an absolute joy to work with her! Benny was incorporated into our special day through his love for cigars and Krispy Kreme doughnuts. Both of those aspects were used as exit favors. 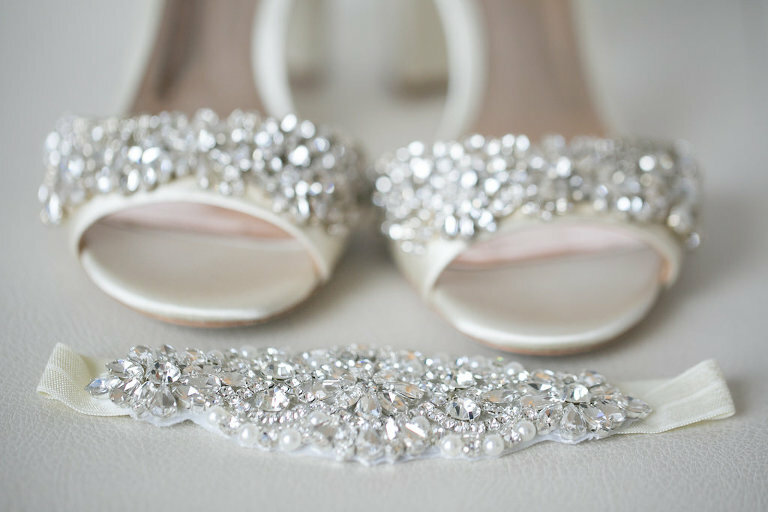 For me, my personality was incorporated into my wedding through all the details and added touches. My hair piece was passed down to me from my Maid of Honor, Stephanie. My papa, Manuel Garcia, passed away in 2011, and I had a charm with his picture hanging off my bridal bouquet. My nani, Rose Mary Garcia, wore a navy blue dress on my wedding day, and I used her extra fabric as my “something blue,” and added a sewn in heart on the bottom layer of my wedding dress. Another one of my favorite touches was adding a piece of lace from my wedding dress to each of my bridesmaids’ bouquets! I was the first one of my cousins to get married, and I cannot wait to pass down these traditions to them and one day stand by their side. 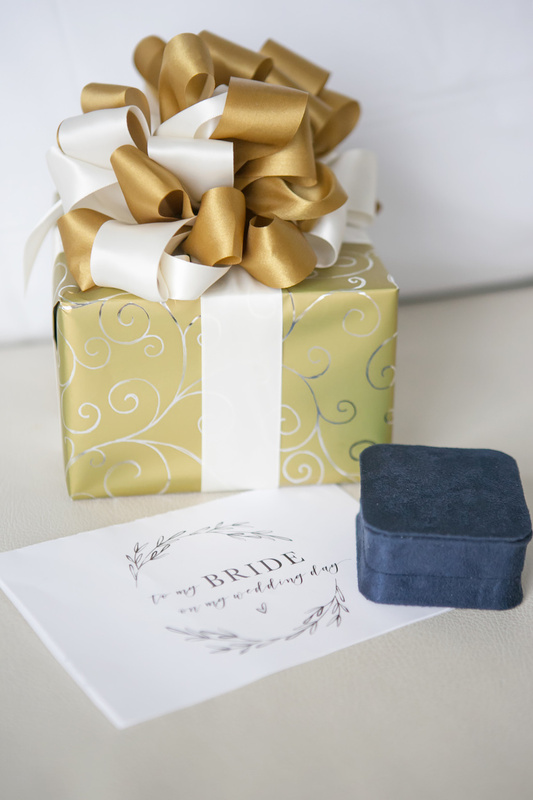 In the very beginning of wedding planning, choose your top three vendors you cannot live without and lock them down immediately because the best ones book up fast! It is never too early to start planning! Make sure you work with people who have good reputations in the Tampa Bay area.